Michelle is a native Austinite which has allowed her to create an extensive network of people and business owners. 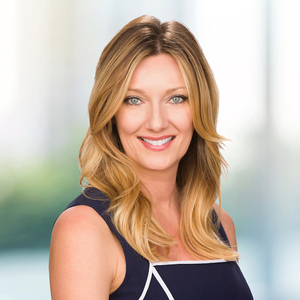 Michelle has gained a broad knowledge of residential Real Estate development, marketing and sales, insight borne from her unique experience being in various aspects of the business including custom home design, construction and managing a renovation company since 2000. Licensed as a Realtor in 2005, Michelle quickly found her niche in the luxury home market. She applies her ability to visualize each property’s special story to creatively paint a picture of life in the home. She specializes in creating a personalized marketing plan for each property - utilizing custom digital media and print ads to find the right Buyer who will value and appreciate the home’s unique charm. Michelle is consistently in the top 1% of Realtors in Austin and is listed by Austin Business Journal as one of the Top 30 Agents in Austin. Combining her love of people with an affinity for all thing architecture and design, Michelle enjoys helping her valued clients find the perfect home to match their taste and lifestyle. A member of the Austin Luxury Network, Michelle is able to offer her clients access to Austin’s finest properties that are never even offered on the public market. Honored for her achievements in the luxury home market, Michelle was selected to be a member of the Elite 25 Austin. She and her Business partner manage the Grossman & Jones Group. Michelle has enjoyed being married to her best friend Thaddeus since 1998. The couple have been blessed with two fun loving boys, Jude 7 - a kind and sensitive soul who loves tennis, doing super cool tricks on his BMX bike and anything to do with dinosaurs and Isaac 4 - an independent spirit with a larger than life personality who loves swimming, Transformers toys and more than anything... joking around! As a family they all enjoy the outdoors, exercise and cooking together and can be found all around Lakeway where they have resided for over a decade.